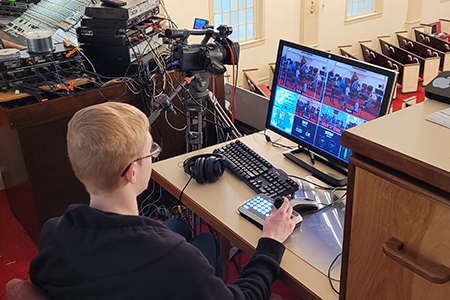 The DBC Worship Team is a group of dedicated volunteers who meet multiple hours throughout the week to prepare congregational music for the Sunday morning service. 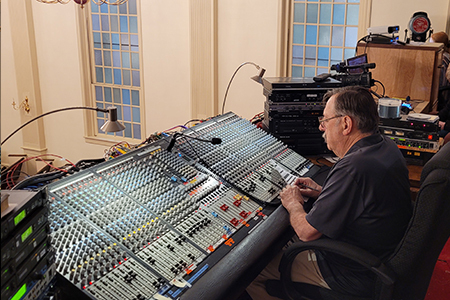 Our ministry is based out of Ephesians 5:18-19, "…But be filled by the Spirit, speaking to one another in psalms, hymns, and spiritual songs, singing and making music in your hearts to the Lord." 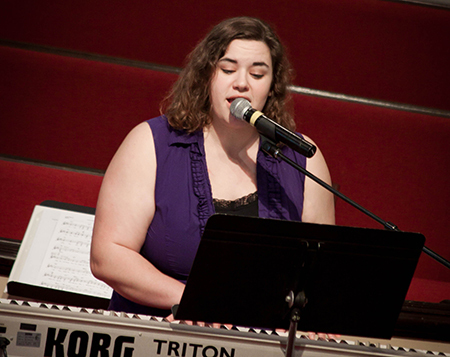 Worship through song is an essential part of the meeting of believers. 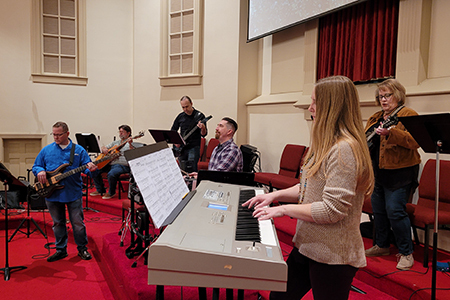 We sing and play as evidence that we are filled with the Spirit, to express intimacy to our Creator, heavenly Father, Savior, and Redeemer, and to exhort and encourage one another. At Denbigh, most of the songs we sing are in a contemporary Christian worship style. Every season, we focus on a specific set of about 30 songs. 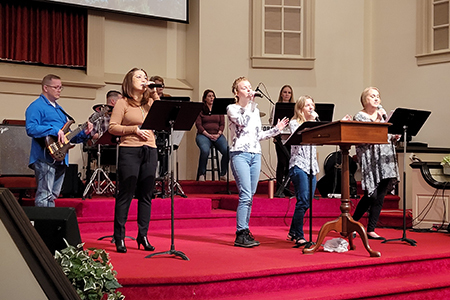 We do this so that those leading and participating have ample opportunity to internalize each lyric and melody – truly knowing the songs we sing on Sunday helps us feel more comfortable to express our worship to God. To listen to our current song list, Click here. 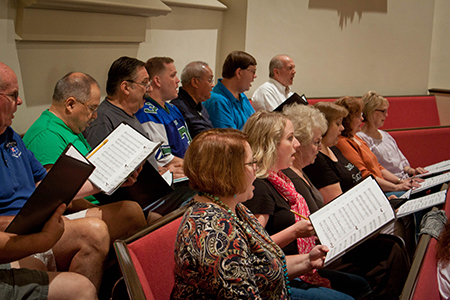 About Us - Our adult choir provides the opportunity for those who enjoy singing to hone and train their abilities. Our goal is to proclaim the Word of the LORD in an excellent and skillful manner. We meet weekly to rehearse on Wednesdays from 7:00pm-8:30pm. Performances occur in the church service once a month. We also perform full choral programs 3 times a year. No choral experience is required to join this group. Contact - Rachel Bradley is the DBC choral director. Rachel has a Bachelor's degree in Choral Music Education, has many private voice students, and she currently sings professionally with the Virginia Symphony Orchestra Chorus. If you would like to join the choir or you have any questions, please contact her at rachmezzo@gmail.com or (757) 813-0124.